My how our little bunny has grown and grown and grown and grown. 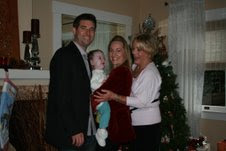 A little walk down Easter memory lane [brought some healthy tears to these eyes] --Easter 2008, Easter 2009, Easter 2010. We wish you all a happy, wonderful Easter! Our sweet little leprechaun wants to wish you all a very happy St. Patrick's Day. Hope you are all wearing green today...otherwise watch out for Gwendolyn's sneaky pinchy pinchy And thank you Grandpa for sending Gwendolyn the cool St. Patrick's Day hat and ribbon. She loves them! I can't believe it has been a week since Valentine's Day and I haven't posted about the many, many good things. 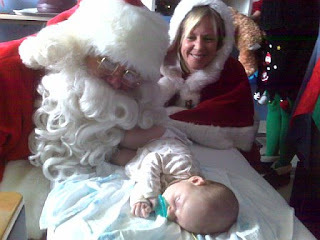 Bottom line -- Gwendolyn loved all of it! Oops, I forgot. 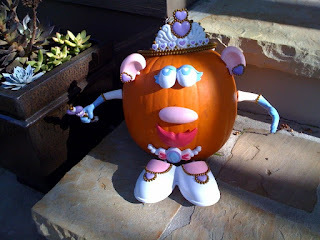 Here is a picture of Gwendolyn's cute princess pumpkin. The darling kit was from Aunt Kristen and Gwendolyn decorated it with Gramma. I think it is adorable (and no mess -- awesome!). Hi, this is Gwendolyn. I love Christmas!!! I have had so much fun over the last few weeks, but today was extra special!